Combine Ireland Holidays with Some Extreme Sports! Ireland holidays are an increasingly popular choice due to the amount of activities that Ireland has to offer. Quite apart from the ancient myths, incredible landscape, jolly locals and general air of affability, Ireland is becoming a leader in the provision of extreme sports facilities. There is a large underground following of some fantastic extreme sports such as rollerblading, surfing, mountain biking and loads more. Locals have yet to really explore the competitive nature of these sports and are really just in it for the craic for now! Read on to find out more about the hidden depths of Ireland’s extreme sports community. 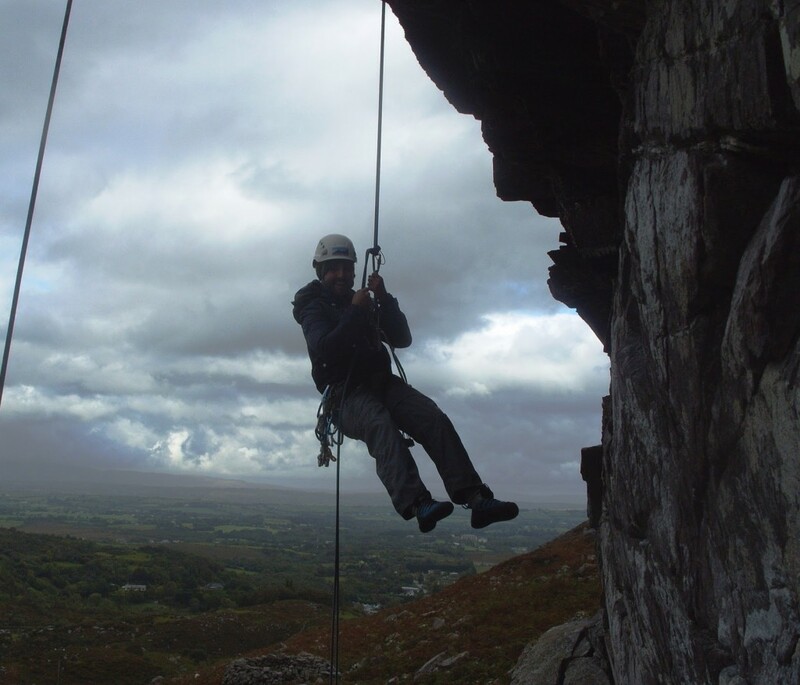 Certainly up there with the most challenging past times, rock climbing and abseiling are particularly popular in Ireland, specifically along coastal areas of the country. There have been a number of clubs set up in Ireland for fans of this sport due to its popularity. Perhaps the best elements of rock-climbing and abseiling are the stunning views afforded to enthusiasts – views that would be difficult to find anywhere else. Head for Offaly or Tipperary if you want to indulge in a little bit of chucking yourself out of a plane. These are the two hubs for parachuting in Ireland and they see plenty of action throughout the year! Only for proper thrill seekers, parachuting is perhaps the king of all adrenaline sports. And it’s getting more and more popular amongst the extreme sports in Ireland! 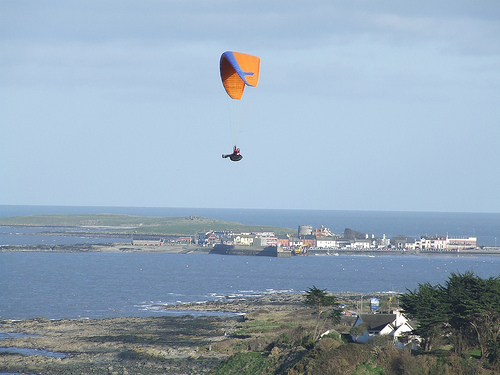 Fancy planning your Ireland holidays around a spot of hang-gliding? Make sure you head for Mount Leinster which is based in Carlow, as this is a real hub for gliders. Take to the skies and admire some truly incredible views of the Emerald Isle from way up high. You’ll find yourself coming back for more! Check out some of Ireland’s finest dirt tracks when you go off road and get seriously dirty on your mountain bike. There’s a thriving scene for the sport in Ireland and fanatics tend to congregate in and around Dublin – which is a great destination for Ireland holidays anyway. Head out to the Wiclow mountains for some truly savage trails and get lost in the beauty of the area. 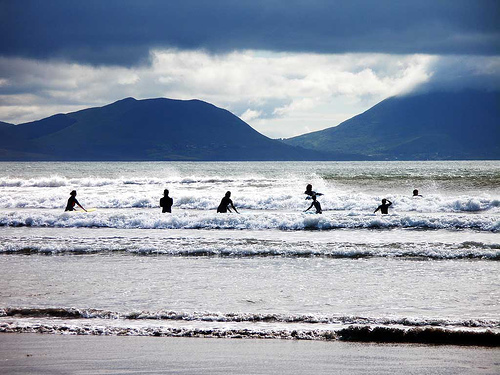 Surfing is arguably one of the fastest growing of the available extreme sports in Ireland. Naturally it’s for seriously hardy surfers outside of the summer months, due to the climate. Planning a surfing holiday in Ireland is becoming more and more popular, especially on the south and west coasts of the country. From Antrim round to Waterford, the Atlantic coastline offers up some seriously surfable waters and the surge in popularity has brought regeneration to some of the coastal towns and villages. There are plenty of extreme sports to be unearthed during your Ireland holidays, you might just have to do a little research to find the real hotspots before you go. It’s a spectacular destination anyway, but throw a little adrenaline into the mix and you’ve got the perfect recipe for a holiday of a lifetime! If you are thinking about trying some extreme sports on your Ireland holidays you are going to need somewhere to stay. Check out the Owners Direct website for some fantastic bargains on some absolutely stunning properties and ensure you have the holiday of a lifetime. This entry was posted in Europe, Hang Gliding, Mountain Biking, Rock Climbing, Surfing, Travel and tagged Extreme Sports, Ireland. Bookmark the permalink.